21 tracks from across the border - well illustrating the wealth of great country talent "Up there". 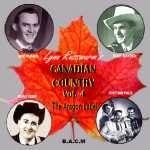 From Hank Snow's homeland, another selection showcasing the wide range of fine Canadian Country talent - this collection from the 1950s including several classic country songs. Another showcase of fine Canadian country talent, blend of styles, all authentic 'Country'. More classic tracks from that Other Land Of Open Prairies and Cowboys – this time 23 tracks, all from the same label – the Aragon label which was based in Vancouver. 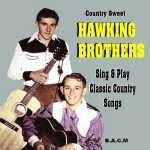 As with our other CDs in the series, a mix of obscure and well known artistes; the latter include Stu Davis ('Canada's Cowboy Troubadour', see also BACM CD 237) and yodeller Evan Kemp (BACM CD 347). Our thanks to long time BACM collaborator Lynn Russwurm for sharing rare tracks from his collection making the series possible. "Canada's No. 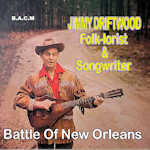 1 Singing Cowboy" was also a fine songwriter and deserves to be better known. 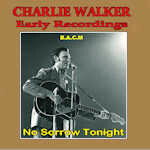 We are pleased to present this selection of 26 of his late 40s/early 50s songs accompanied by his Serenade Ranch Gang. Inducted into the Canadian Country Hall of Fame in 1989. 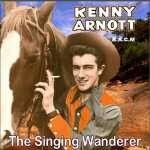 24 mainly Irish songs sung with devastatingly good harmony by this fine group which UK country fans of a certain age will remember were featured in the 1950s BBC "Riders Of The Range" serial. Recommended for folks looking for superb authentic versions of all the great Irish songs, "Mountains of Mourne", "Cockles & Mussels", "I'll take you home Kathleen" etc. The quartet included the same Pat Campbell who went on on to become a popular DJ/personality on UK radio and TV and who compered some of the early Wembley Festivals. At the height of their popularity they toured the USA and even performed at Carnegie Hall. Another fine entry from Canada. Singer/songwriter Keray performing many of his songs and featuring The Petrie Sisters, ace guitarist Bog Regan and one track with then wife the lovely voiced Lucille Starr. 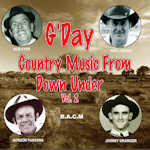 29 tracks from the yodeling twins, Tom and Ted LeGarde from Queensland, Australia, recorded 1951-56. 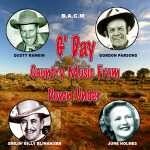 Accomplished cowboys and rodeo riders they worked with legendary Aussie entertainers Buddy Williams and Tex Morton eventually landing a recording contract, billed as "Australia's Yodeling Stockmen". 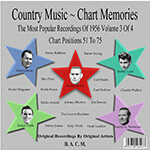 Most of the cuts on this selection are of well known country classics including Jimmie Rodgers' "Whisper your mother's name" and "In the jailhouse now" and fine versions of Hank Snow's "I don't hurt anymore" and Web Pierce's "There stands the glass". 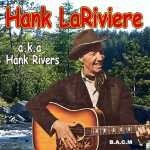 Canadian born singer who settled in New Zealand and sadly has been much overlooked despite a great voice and authentic country sound. Showcased here with 25 tracks of mainly 1950s songs. 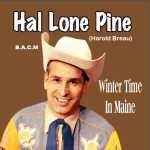 Superb versions of Wilf Carter's "I miss my miss" and the Hank Snow hit "Lady's man". 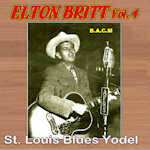 Country music was always big in Canada, and radio a prime medium in its popularity from the 1920s onwards. 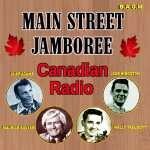 For this CD we have dug up tracks aired on the Main Street Jamboree show, initially broadcast from Hamilton Ontario, then launched as a travelling show. The Jamboree became a showcase for the best in Canadian country talent - sit back and enjoy these 28 tracks, nice mix of styles and tempos. 25 Mexican associated songs from various performers. Nice mix of vocal and instrumental styles. Includes songs from Jim Reeves, Hank Snow and Bob Wills. A selection of 25 1940s/50s recordings from Saskatchewan born Davis, known as Canada's Cowboy Troubadour including his own composition "What a fool I was" - a big hit for Eddy Arnold (in 1948).